Each November, Meaning brings together a growing group of likeminded people who believe in better ways to work and do business. And while they’re in Brighton, they make the most of their time together, at Meaning Fringe. 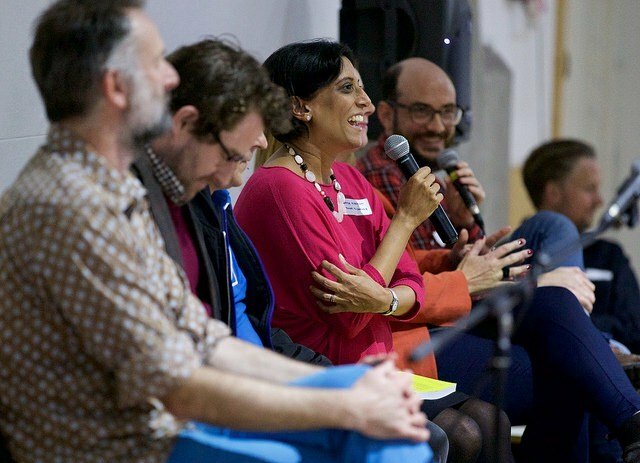 In addition to the main Meaning conference, a collection of independently organised fringe events give the Meaning community a real presence in Brighton. At Brighton’s community-owned Exeter Street Hall, a huge crowd gathered to meet the passionate people behind community ownership. We saw how bakeries, pubs and other businesses can be run for the good of local neighbourhoods. Community is central to many healthy purposeful businesses. 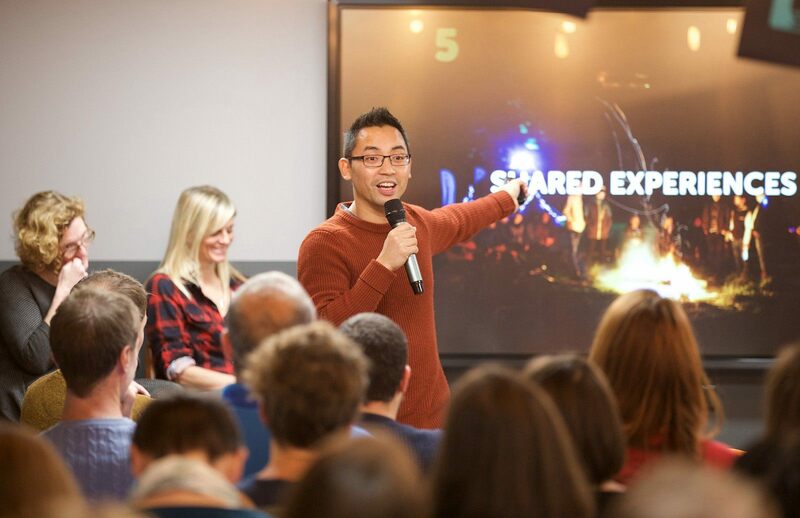 At PLATF9RM, a trio of Brighton’s smartest business innovation brains got together to host an event sharing their thoughts on how communities can be built and celebrated. At Propellernet, the team behind Dream Valley welcomed their community for an evening of alpine refreshment and reflection on valuable time spent in the mountains. The folks from The Bravest Path hosted a workshop to look at The Daring Way — a philosophy of living and working endorsed by the renowned Brené Brown. The workshop had a focus on bravery, but also on compassion for ourselves. What better way to wake up before a conference than to immerse yourself in the cold November sea? 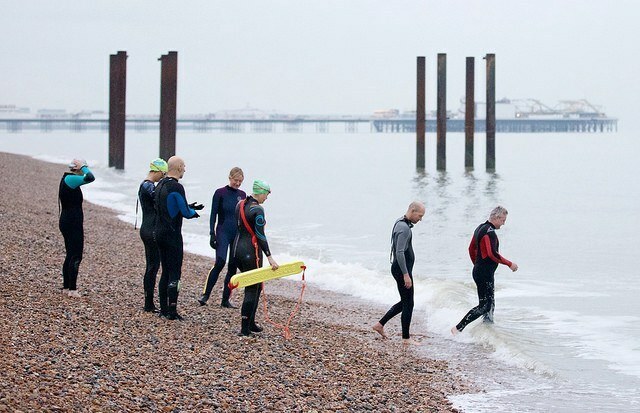 School of the Wild hosted an invigorating sea swim — a kind of meditation to stimulate bodies and minds. Sometimes time spent in the outdoors is the best way to collect our thoughts and focus on the issues in our work and our lives. School of the Wild invited us to a campfire in the woods, giving time and space to refect. Bryony Farey introduced us to a new way to look at life’s questions and challenges. She calls it ‘Street Wisdom’. On a short walk around Brighton, Bryony enabled us to look differently at the things on our minds. How Do Leaders Create Cultures For Growth? Nicole and Jeff from Within People hosted an evening looking at leadership, and what it takes to create healthy workplace cultures. They brought together a crowd of business leaders to share and exchange perspectives. The night before Meaning, some of us simply gathered in a Brighton pub to look forward to the following day’s excitement with friends old and new. Our official Meaning after-party gave us a comedic look at the future and what it holds, with the Futurenauts — our guest director Mark Stevenson and his partner in hilarity Ed Gillespie. There was history, there were debates, there were silly voices. Local fellows of the RSA brought us together in Brighton’s Preston Park the morning after Meaning. 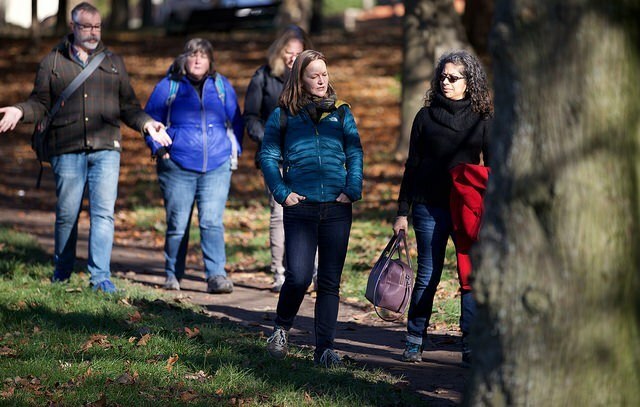 A stroll among the trees, reflecting and discussing with others, enabled us to process and digest what we’d heard at Meaning. Kevin and Christina from Social Facilitators convened a discussion about our role as consumers. In this connected society, they gave us the chance to consider our power and our capacity to create change. 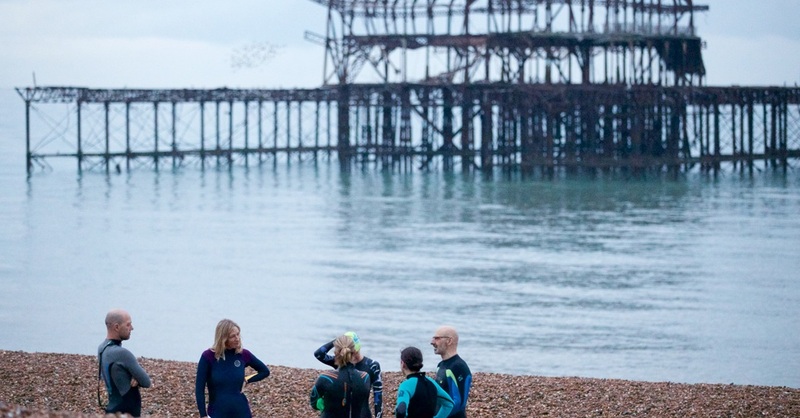 The city of Brighton and Hove is full of creative innovative organisations. 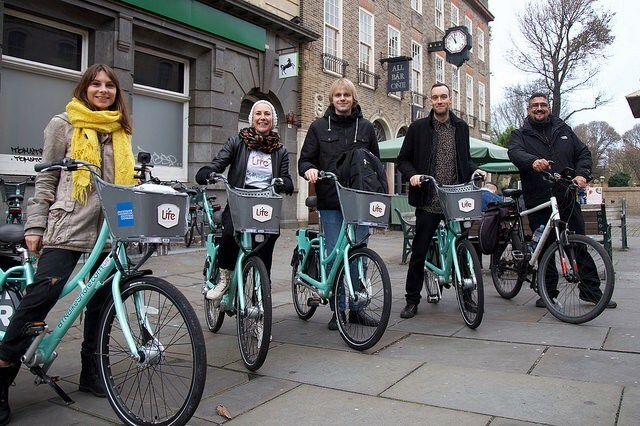 Fugu and BTNBikeShare provided the bikes for a guided tour around not only Brighton’s scenic sights, but also our smartest businesses. The morning after Meaning there was a gathering of excited people at PLATF9RM, digesting the previous day’s ideas and inspirations over coffee and pastry with the Goodall Foundation. 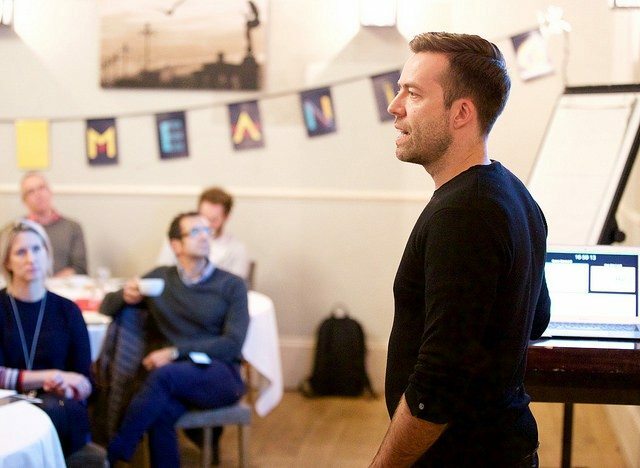 Speaking coach Matthew Matheson was our host for an evening of talks looking at the relationship between our mind and bodies, and how we cope when faced with health challenges. Margaret Wheatley gave a moving and powerful talk at Meaning 2017. The following weekend, together with Future Considerations and Emerson College, she hosted a retreat in the Sussex countryside, further exploring the way we consider ourselves as business leaders. Employee equity and shared ownership are powerful models for purposeful businesses who value their people. Experts Vestd made themselves available to entrepreneurs and business owners looking to more deeply understand these mechanisms. For Meaning 2018, Meaning Fringe events will once again be offering us a wealth of experiences to enjoy during out time in Brighton. 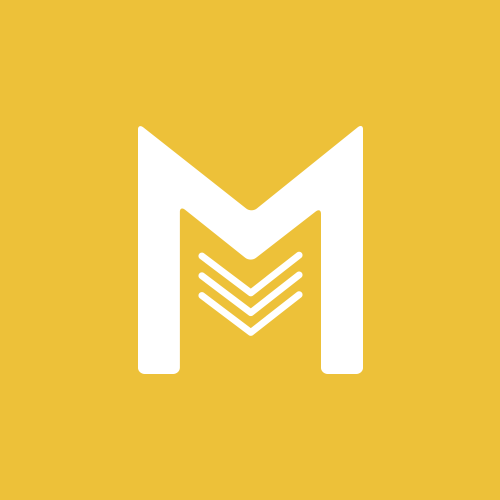 We’re inviting Meaning Fringe proposals from the Meaning community. What have you got for us?